This dataset shows the Target Identification and UniProt Accessions from the Guide to PHARMACOLOGY; an online, open-access portal to pharmacological information on all the human targets of prescription drugs, which is the product from the collaboration of the International Union of Basic and Clinical Pharmacology (IUPHAR) and the British Pharmacological Society (BPS). The data types captured in this dataset include target nomenclature, pharmacological data, and ligand structures. Organisms isolated in this data are from human, mouse, and rat. In future versions, the plan is to add resources for education and training in pharmacological principles and techniques along with research guidelines and overviews of key topics. It is the hope of IUPHAR/BPS Guide to PHARMACOLOGY to be useful for researchers and students in pharmacology and drug discovery and provide the general public with accurate information on the basic science underlying drug action. 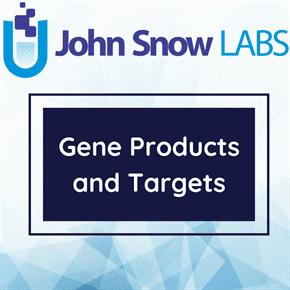 The information provided in this dataset shows the initial view or landing pages for each target family that provides expert-curated overviews of the key properties and selective ligands and tool compounds available. Additional information can be found also in other databases including Ensembl, UniProt, PubChem, ChEMBL, and DrugBank, as well as curated chemical information and literature citations in PubMed.